It’s finally come to that time. You’ve used all your resources up. Your credit card debt is through the roof and you took out all the loans you could take. You don’t know what to do anymore. The last thing you want to do is lose everything. You want to get out of this rut and you want to do it fast. Filing for Chapter 7 Bankruptcy may be an option. It’s the fastest, most common, and simplest form of bankruptcy. It will discharge the most unsecured debt including personal loans, credit card debt, and medical bills. However, you won’t be able to be relieved from personal debts such as child support, alimony, taxes, and student loans. It’s important to know the requirements for filing for this bankruptcy petition as well as the pros and cons for Chapter 7 bankruptcy to see if it’s the best option for you. 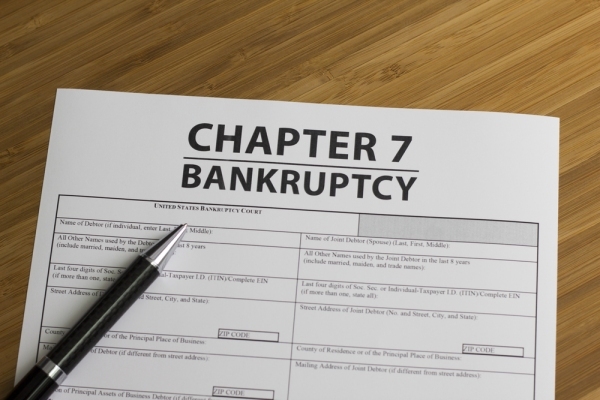 There are several requirements you must meet in order to petition for Chapter 7 bankruptcy. One of which is that your debts must be more than half of your annual income. Your debt must have a significant impact on an essential part of your life. For example, your debt may affect the relationships you have. You must meet the requirement of having little to no disposable income. The time it would take for you to pay off your debts would have to be greater than 5 years. The last requirement would be that your monthly income is below the median level in your state. There are several pros to filing for Chapter 7 bankruptcy. If you file for Chapter 7 bankruptcy, it will prevent lenders from taking aggressive collection action against you. This will give you a sigh of relief. This form of bankruptcy is relatively short, the time to complete the entire process is only 3-6 months. You also will get to keep your wages earned and the property you buy after filing for Chapter 7 bankruptcy. Along with the pros, filing for Chapter 7 bankruptcy also comes with many cons. You will essentially lose all of your credit cards. Your credit will be in despair and the bankruptcy can remain on your credit report for up to 10 years. If you don’t already have a mortgage, then it will be extremely difficult for you to obtain one after filing for Chapter 7 bankruptcy. You will lose the property you own (if it’s not exempt from sale). Your case may also be converted to Chapter 13 bankruptcy, which is a long process that’ll take 3-5 years. Many people go through or have gone through what you’re experiencing. You need someone on your side who isn’t going to pass judgment. Now it’s your time to reach out for help. You’ve struggled enough. FIling for Chapter 7 bankruptcy may be your best option. Chapter 7 bankruptcy attorney at Justin Myers attorney-at-law is here to help lift the weight off of your shoulders. He will help you gain control over your finances again. You can reach him by phone at 801-505-9679 or fill out this contact form.